Stock Photo: RIVERA, Diego (1886-1957). Construction of the Palace of Cortes. 1930-1931. MEXICO. Cuernavaca. Cortes' Palace. 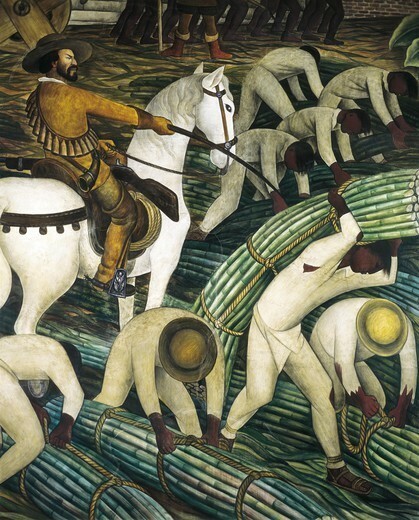 Detail of western wall depicting Indians harvesting sugar cane. Mexican Mural Painting. Fresco.